The Templo Mayor was one of the main temples of the Aztecs in their capital city of Tenochtitlan, which is now Mexico City. Its architectural style belongs to the late Postclassic period of Mesoamerica. The temple was called the huei teocalli /ˈwei teoˈkalːi/ in the Nahuatl language and dedicated simultaneously to two gods, Huitzilopochtli, god of war, and Tlaloc, god of rain and agriculture, each of which had a shrine at the top of the pyramid with separate staircases. 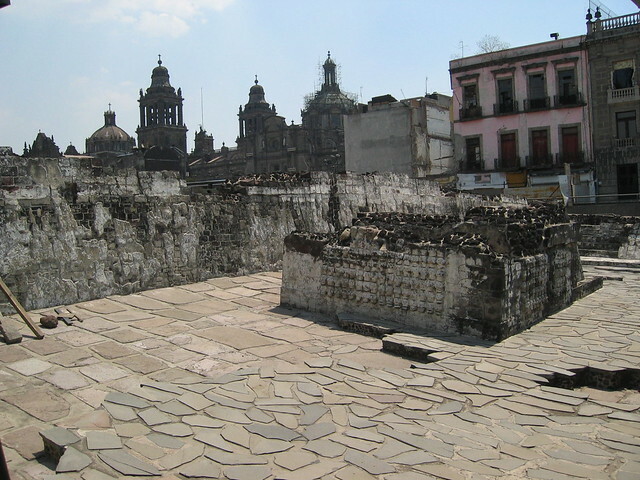 The spire in the center of the image to the right was devoted to Quetzalcoatl in his form as the wind god, Ehecatl. The Great Temple devoted to Huiztilopochtli and Tlaloc, measuring approximately 100 by 80 m at its base, dominated the Sacred Precinct. Construction of the first temple began sometime after 1325, and it was rebuilt six times after that. The temple was destroyed by the Spanish in 1521. 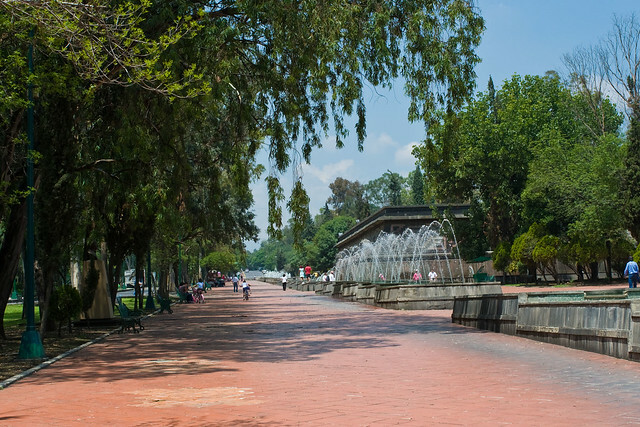 The modern-day archeological site lies just to the northeast of the Zocalo, or main plaza of Mexico City, in the block between Seminario and Justo Sierra streets.